The Pad Treatment and Humidifier Pads included in this kit are good for one year under normal conditions. 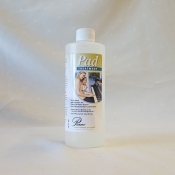 Very dry conditions may require more Pad Treatment. 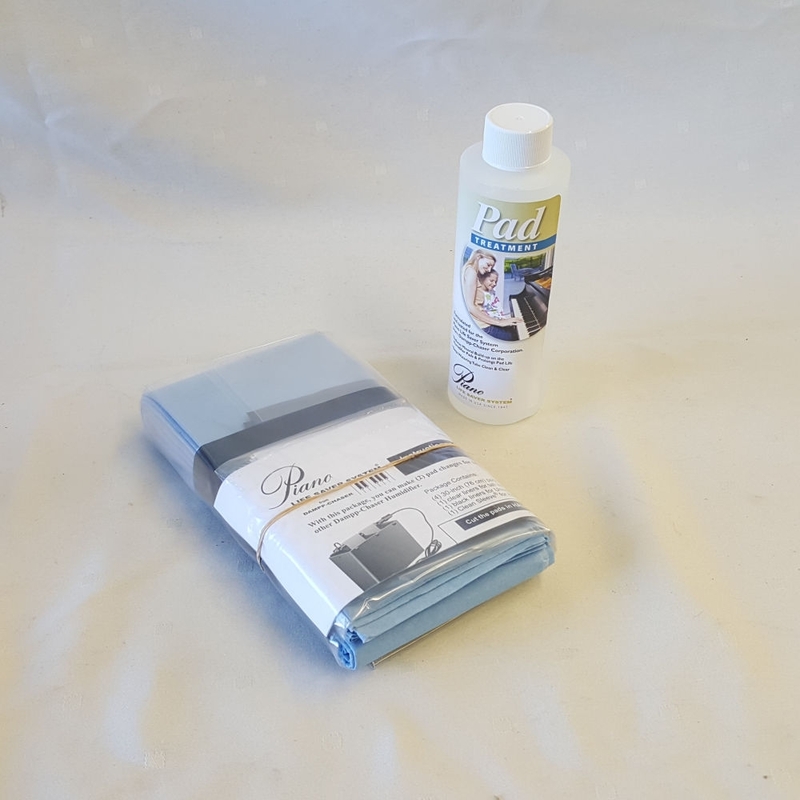 Pad Treatment: Specifically formulated for the Dampp-Chaser Humidifier, Pad Treatment prolongs Humidifier Pad life, keeps the watering tube clean and clear, and reduces mineral build-up in the Humidifier tank. DIRECTIONS: When adding water to the Humidifier, add 1 capful of Treatment to each can. 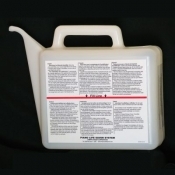 Humidifier Pads: Should be changed twice each year, one package of pads includes two pad changes. Humidifier Pads wick water across the Humidifier Heater Bar to bring moisture into the piano. If the pads are caked with mineral deposits or hardened on top, the Humidifier will not be effective.